I love experimenting with bold flavors. 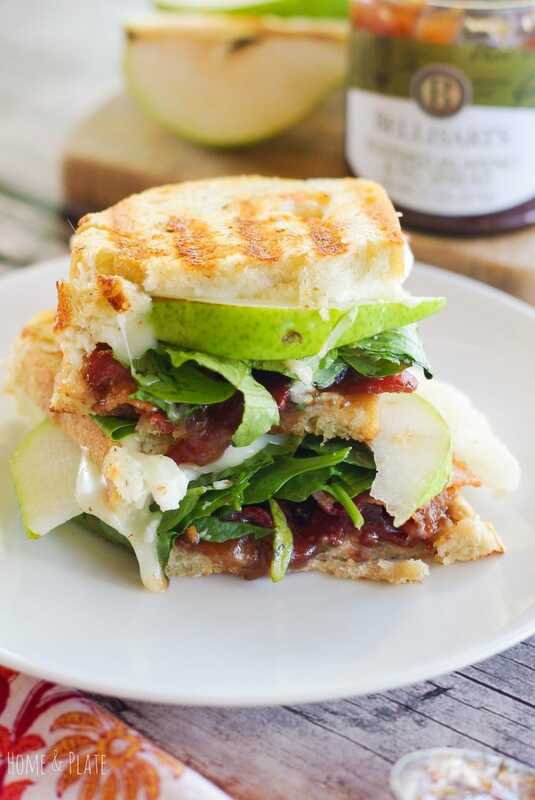 Imagine the taste of juicy pears, salty bacon and creamy brie sandwiched between two grilled pieces of rosemary harvest bread. 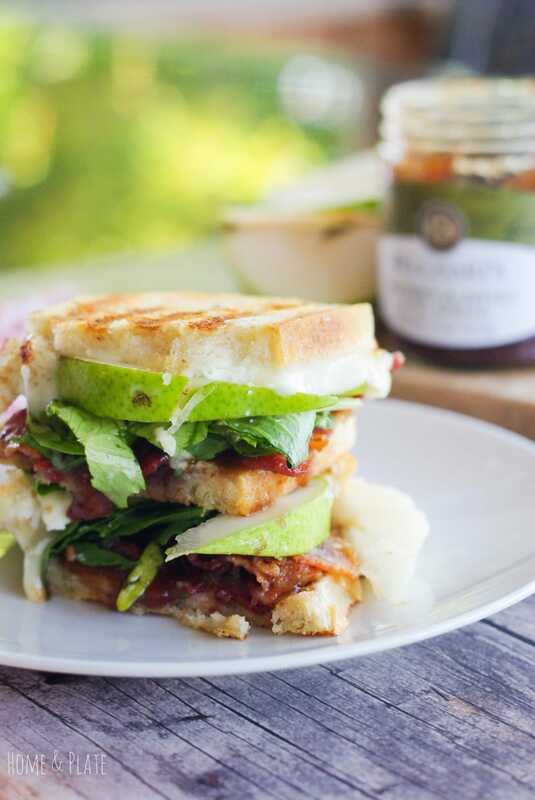 There is nothing quite like the taste of a pear, bacon and brie panini sandwich. This post is written on behalf of Bellisaris.com. I was provided samples for this product review. All opinions are my own. Thank you for supporting my blog by supporting brands I love. The secret to this panini is the blistered jalapeño and fig spread nestled between the layers that just oozes with flavor. It transforms this sandwich into something gourmet. We are lucky to have friends who enjoy food as much as we do. My husband, Brewster, has been longtime friends with Annette Bellisari, of Bellisari’s Gourmet Convenience, a small business owner in Columbus, Ohio. I recently had the opportunity to try some of her sauces and spreads. Bellisari’s products are unique in that they are made with gourmet ingredients to make your life a little easier. 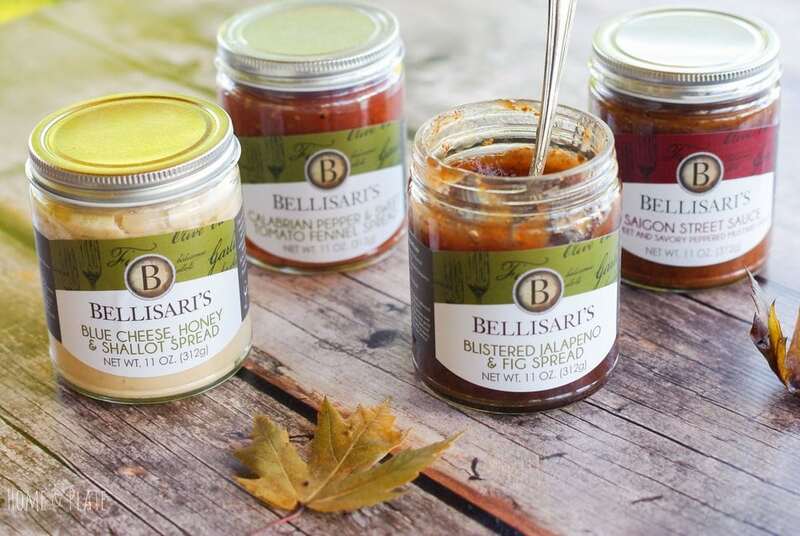 So next time you’re heading off to a party or entertaining at home, open one of Bellisari’s sauces or spreads to create a dish that is uniquely delicious. 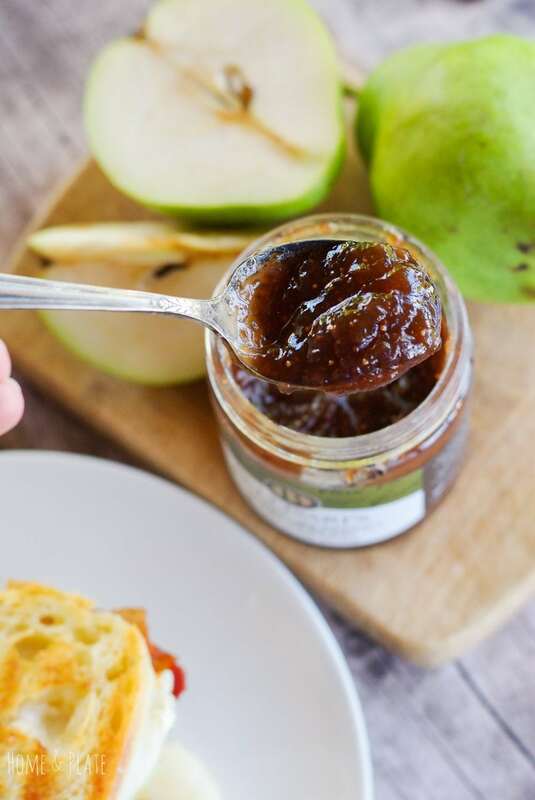 Bellisari’s Blistered Jalapeño & Fig Spread was the perfect combination of flavors for my pear, bacon and brie panini sandwich. Use a panini or waffle iron to make the sandwich. You can use a regular grill pan but the hard part will be flipping it without losing all your ingredients between the grilled bread. With the temperatures cooling I chose pears for the sandwich because they’re super sweet and juicy this time of year. Brie cheese is soft and melts easily and well, everything taste better with bacon. I also added a few greens. I have a Saigon Street Sauce, a Barista Sauce and a Calabrian Pepper and Sweet Tomato Fennel Spread in my pantry that I’m hoping to use as the holidays approach. 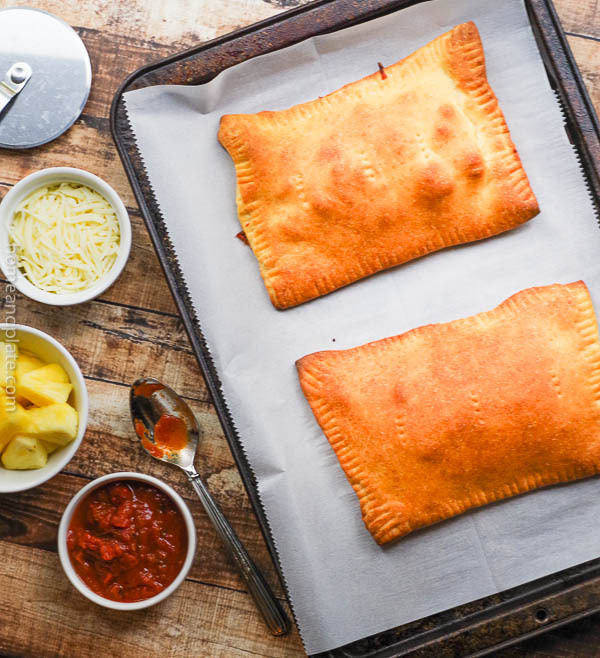 There are so many delicious recipes on the Bellisaris.com website that I’m dying to try. I’m hoping to impress this holiday season and share a few new recipes featuring these delicious spreads and sauces. Be sure to check out Bellisaris.com for all their products, recipes and tips. These gourmet spreads and sauces make great gifts for the holidays so be sure to place your online orders soon. I love experimenting with bold flavors. 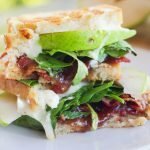 Imagine the taste of juicy pears, salty bacon and creamy brie sandwiched between two grilled pieces of rosemary harvest bread. Heat your panini iron or pan to medium. Butter one side of the slices of bread. Place two pieces of bread butter side down onto the hot iron or pan. Spread a generous spoonful of Bellisari's Blistered Jalapeño & Fig Spread on top. 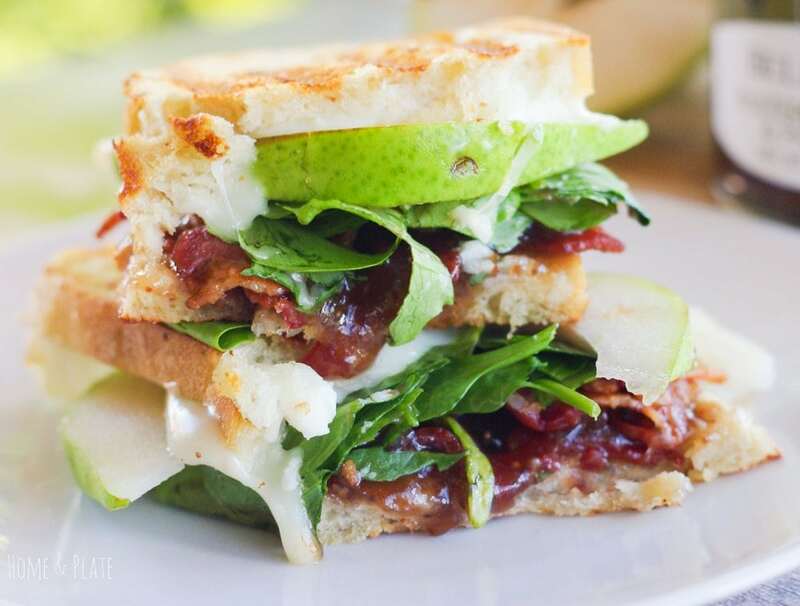 Next layer on your bacon, brie, pears and greens. Place the other piece of bread butter side up on top. Close the panini iron carefully. If making the Panini in a pan, watch carefully while cooking so as not to burn the bread. Flip the sandwich once golden brown using two spatulas if necessary. Continue to cook the other side until the bread is golden brown. Serve immediately. When you were listing the ingredients in the sandwich and got to the blistered jalapenos and figs I was like, sounds amazing, but ugh, so much work, but it’s a spread!! That is so perfect! I love all of those flavors and the fact that you just have to open a jar and can get such a major flavor upgrade is super appealing. I will definitely have to check out their website. This panini is mouthwatering! Yum! Yes it is. Thanks Marsha. Yum! I’ve never tried the condiments before, but the blistered jalepeno and fig sounds delicious. I bet it would be great on a sliced turkey sandwich, too! Amanda it is delicious on just about anything you put it on. You should definitely check it out. It’s something you certainly want in your pantry. Thanks for visiting. This is over the top! Pour a glass of wine and pass the plate! Oh, this looks delicious! Your pictures drew me right in!